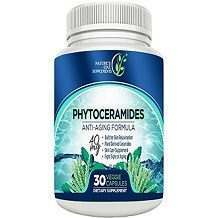 In this review, we will talk about the product called Phytoceramides by Nature’s Edge Supplements. This plant based, anti-aging product claims to reduce or eliminate sun damaged skin and make those unwanted lines or wrinkles disappear by hydrating or moisturizing the skin. This product also claims to replace the damaged cells and help new ones to grow. According to the product’s label, this dietary supplement should be taken once a day preferably 20 to 30 minutes before a meal with a glass of water or as instructed by your health care professional. Phytoceramides, especially those that comes from natural sources, normally have little to no side effects. However, we can’t deny the fact that some people might develop certain allergies or their body night react badly to certain substances such as phytoceramides. It is also very important for an individual to stick to the recommended dose. Pregnant women, nursing mothers, children under 18 years of age and those who have other medical conditions should consult a physician before taking this product. You can buy this product online from Overstock for $21.09 per bottle containing 30 capsules. You are also expected to pay an additional $4.95 for shipping fees. At the time of writing, this product was not available on Amazon. Unfortunately, this product does not come with any guarantee if you purchase from Overstock.com. Individuals who are not satisfied with their purchase may have to go through the hassle of personally contacting the product’s manufacturer in order to see if it’s possible to return the product. 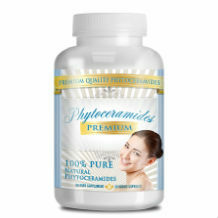 This product seems to be a decent product as it contains phytoceramides plus the necessary anti-aging vitamins. The product’s price is also quite reasonable and might actually attract some budget buyers. However, we were not able to find a guarantee for this product. The phytoceramides in the product are derived from rice, which do not seem to be as effective as those derived from wheat. While this product may be a safe product to use, there may be more effective products on the market that are worth looking into.